Japan-based multinational conglomerate corporation Sony is preparing for the upcoming release of its PlayStation 4 and the latest news is that the next-gen console will require a post-launch patch for current bluetooth headsets for chat, as it will not provide support for them. The company has confirmed that the PULSE headsets will need to have a system update after launch as well, before they can be used in general and not just for chat. Sony also explained that current-gen bluetooth headsets are not going to be compatible with PlayStation 4, as well as that any USB-based headset will work after the system update only. In addition to that, the company confirmed that its highly-anticipated console will come with a mono headset. The latest news comes after very similar problems related to headset compatibility with Microsoft’s next-gen console, Xbox One. The Xbox One will be able to use current third party headsets, however, because of its new proprietary data ports, it will have to use an adapter. Sony’s PlayStation 4 is scheduled to be released in the US on November 15, 2013 and in Europe, Latin America and Australia on November 29, 2013. 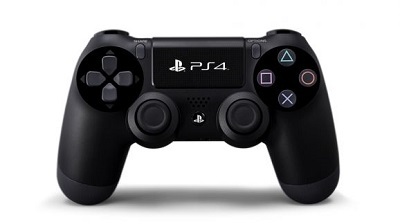 Tetsu Sumii, the PlayStation 4 lead designer said on Thursday, October 10, 2013 that he hopes that the console’s new design will bring a change of PlayStation’s brand image.